With many members of its board being avid supporters of racehorse aftercare and with the Thoroughbred Aftercare Alliance (TAA) as an official partner, it’s no surprise that Equestricon — horse racing’s second-annual convention, trade show and fan festival — is so focused on aftercare awareness. After a successful first year in Saratoga, which featured OTTB owner and media icon Soledad O’Brien delivering an “aftercare keynote” address, Equestricon plans to deliver another memorable lineup of speakers and an even bigger aftercare presence in Louisville this October. For the TAA’s Stacie Clark Rogers, Equestricon is not only a vehicle to enhance racing’s popularity through fan-development and engagement, but it also uniquely provides an open-to-all arena where racing can demonstrate what it’s doing for horses when their days of racing and breeding wind down. Like last year, Equestricon will be holding a few different speaker sessions focused on aftercare, highlighted by TRACK Talks. Modeled after the popular TED Talks series, TRACK Talks will feature industry leaders, innovators and storytellers sharing insights, experiences and motivational stories with Equestricon attendees. TRACK Talks covering a range of topics will take place on Monday, October 29, and Tuesday, October 30, at the host site of the convention, the Kentucky International Convention Center. The aftercare TRACK Talks series, “Leaders In Aftercare: Our Obligation to Racehorses After Their Careers on the Track”, will demonstrate (through the stories of four individual speakers who are scheduled to each deliver 10-15 minute speeches) how off-track Thoroughbreds have positively effected the lives of people who have interacted with them. Announced speakers include Michael Blowen of Old Friends Farm, Joell Dunlap of Square Peg Foundation, and former National Football League player and current retired racehorse owner Jeff Tow-Arnett. Clark Rogers will host the aftercare TRACK Talks series. “I have two [off-track Thoroughbreds] that have changed my life,” she said. “My first racehorse bought my first house and my second OTTB was a horse that I was privileged to have great experiences with. So I think everybody’s story about their horse is an important one. For Blowen, his focus at Equestricon will be on how aftercare has improved over the years to help racehorses move on to a second career and on the work that still remains to be done. As to why aftercare is an important aspect of racing and should be focused on, Blowen points to how it could help other parts of racing such as ownership, via the demonstration of how horses are cared for after their racing careers. 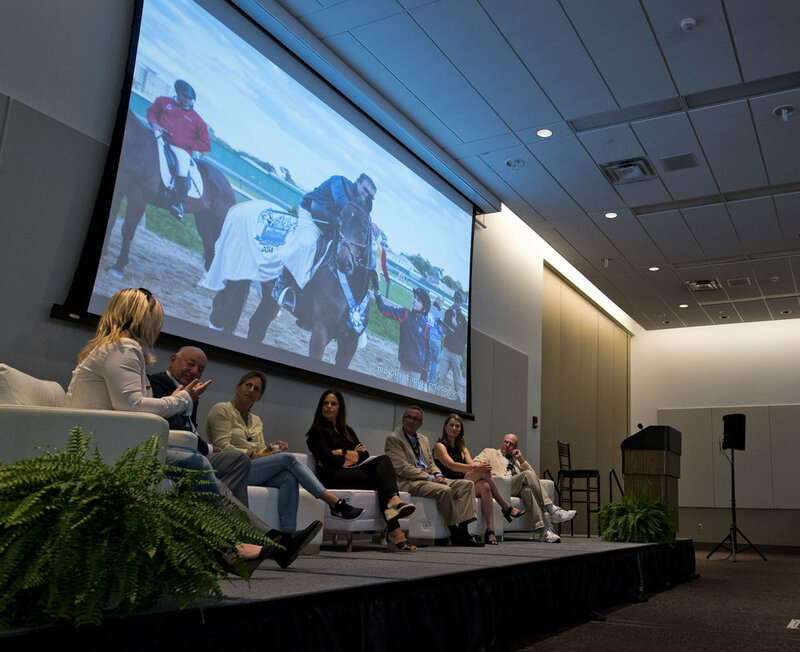 For anyone wondering how much of an impact can be made by sharing the stories and shaping a narrative around aftercare, look no further than the Thoroughbred Daily News article written just a few weeks after Equestricon 2017. Citing the awareness created around aftercare at last year’s convention, Clark Rogers noticed an uptick in donations to TAA and a noticeable increase in outreach from many who were interested in knowing more about the developing landscape of aftercare in racing. Blowen also said that Old Friends reaped rewards from the event due to conversations that grew out of Equestricon. The event itself is fan-facing, in that it allows anyone with an interest in racing to attend and absorb information from experts in everything from aftercare to wagering to ownership. But since the convention attracts many of the most influential personalities in each field (aftercare, handicapping, ownership, breeding, etc. ), Equestricon ultimately proved to be the largest industry networking opportunity on the calendar. In 2017, Equestricon also had more than 20 TAA-accredited organizations take part in various Equestricon activities including a number of booths within the convention’s trade show. For those who liked visiting the aftercare booths last year, they can start planning their next walk through the aftercare booths with many returning in 2018.Trade show access is available for a reduced price of just $10 this year. 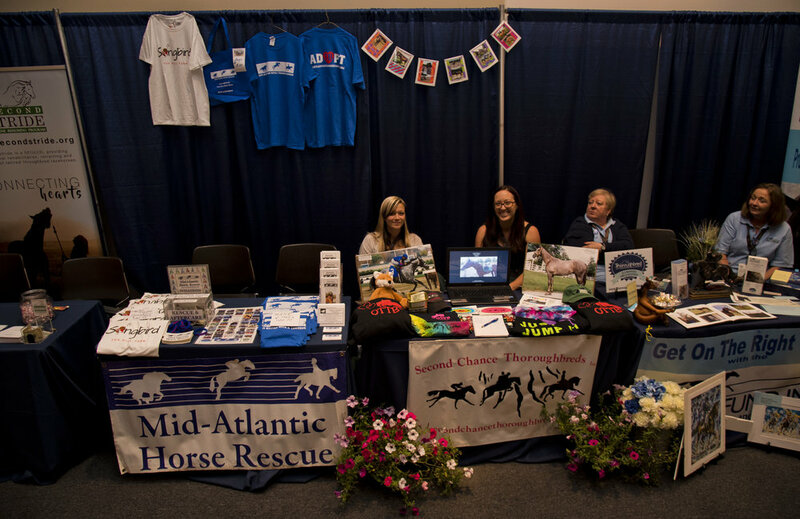 The trade show at Equestricon will feature more than 100 of racing’s largest and most popular companies, products, services, racetracks and advocacy organizations — See the full list of current exhibitors. In addition to aftercare, other TRACK Talks sessions will feature prominent speakers discussing life on the backstretch, the world of ownership, breeding, training and various other topics. Last year, attendees were required to have a $125 ‘Panel Pass’ to attend speaker sessions. New for 2018, ‘All-Access Two-Day Convention’ passes have been slashed to just $65, making the TRACK Talks and dozens of other speaker sessions even more accessible and affordable. 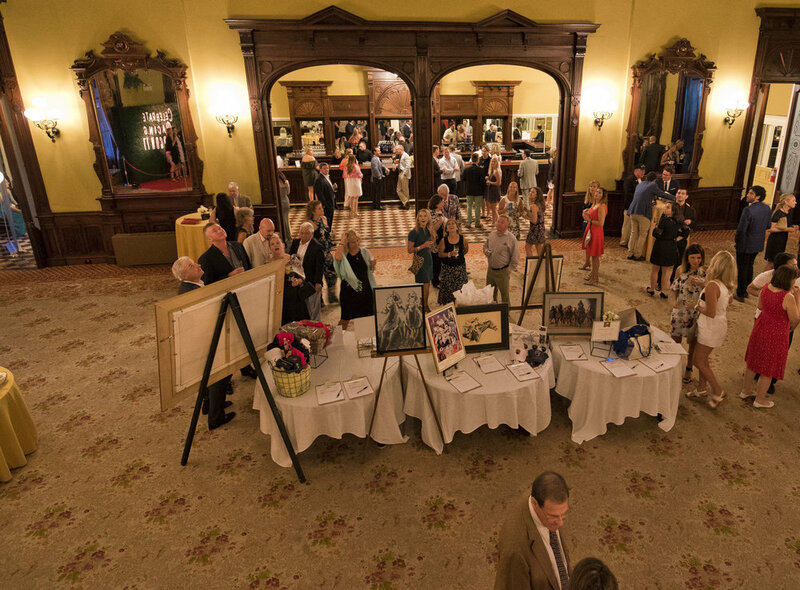 The TAA organizations who will be participating are already planning on ways to show off the Thoroughbred breed in the hopes that those attending will learn there is more to the horses’ talents than just racing. 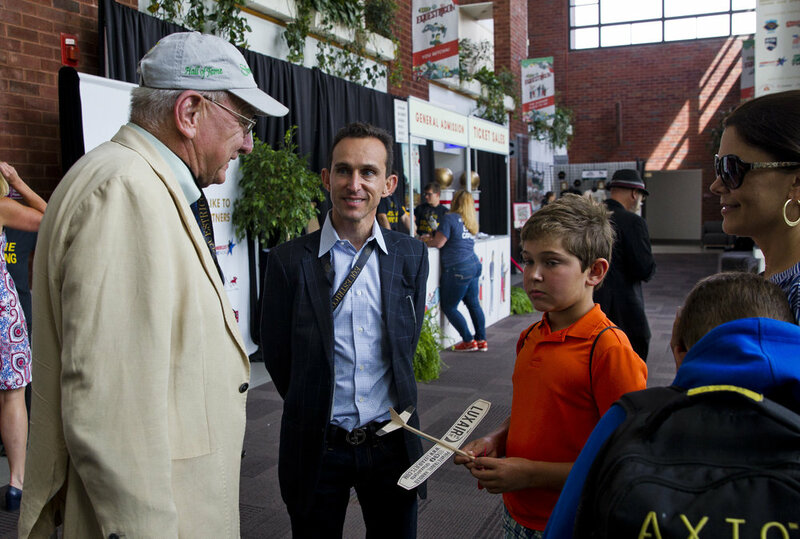 Like many supporters of aftercare, Shea feels that Equestricon may open up more discussion about life after the track for the Thoroughbred and show that aftercare is an integral part of the puzzle to keep the sport thriving. While aftercare is a topic that Clark Rogers is passionate about, she also sees Equestricon helping every part of the sport and can’t wait until everyone comes together the week before the Breeders’ Cup. More information about Equestricon and its plans for the aftercare portion of the event will be announced soon, so stay tuned. But don’t wait to start planning your trip to Louisville soon for what promises to be the biggest week of the year in Kentucky — especially for fans of the sport and participants at all levels. Tickets are now on sale at equestricon.com, where visitors will also find exclusive specialty rates on hotel rooms starting at just $129. Click here for a full schedule of events at Equestricon and a listing of topics, speakers, panels, seminars and workshops. Older PostVisit The People's Horse and Taylor Made at Equestricon™!